This should come as no surprise to anybody with an Asian background, since rice is the staple food of Japanese and most other Asian cuisines. To cook rice on a regular stove is notoriously difficult, and if it is not done properly the rice is often too hard, too mushy, burnt on the bottom or a gluggy wet mess. Because of this, the rice cooker was invented by Toshiba in 1955, and Japan has never looked back. Instead of Japanese housewives having to spend hours staring at steaming pots of rice, they could just wash the rice, stick it in the rice cooker with the correct measure of water, turn it on and leave it until it was ready. 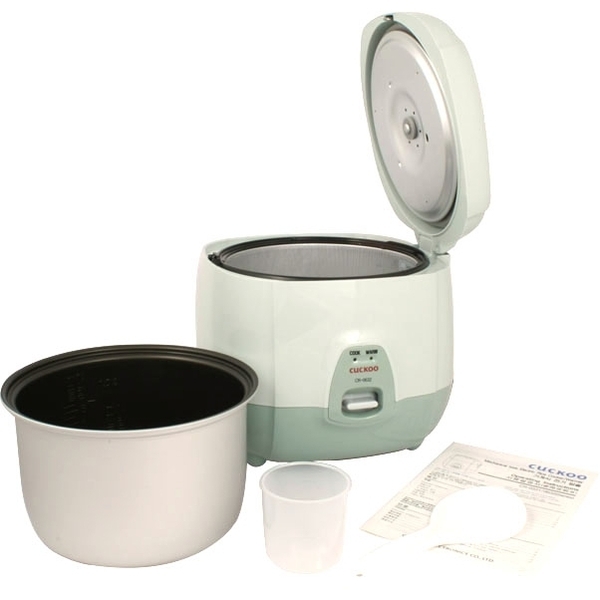 Nowadays the rice cooker is one of the most important gadgets in the Japanese kitchen, and if you are serious about your rice we highly recommend that it become a part of your kitchen as well. Takoyaki is widely eaten all over Japan, but in Eastern areas it is seen more as a street food than as something you would make yourself at home. 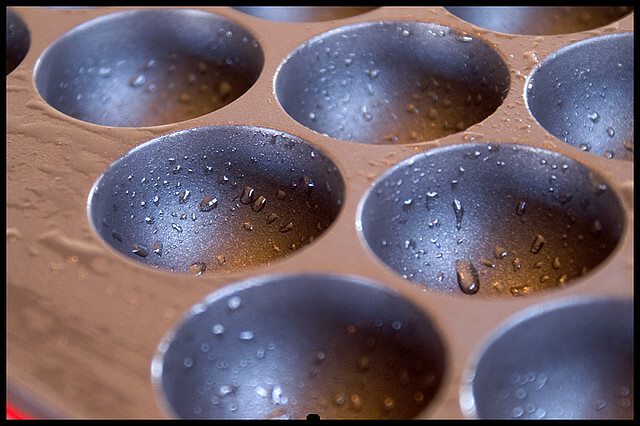 In the West, however, Takoyaki is frequently made at home using these adorable takoyaki pans! To make takoyaki, a savoury batter is poured into the circular moulds, and a piece of boiled octopus is inserted into the batter while it is cooking. After a few minutes each dumpling is flipped over in the mould and the reverse side is fried, creating a crunchy outer layer that seals the octopus inside. 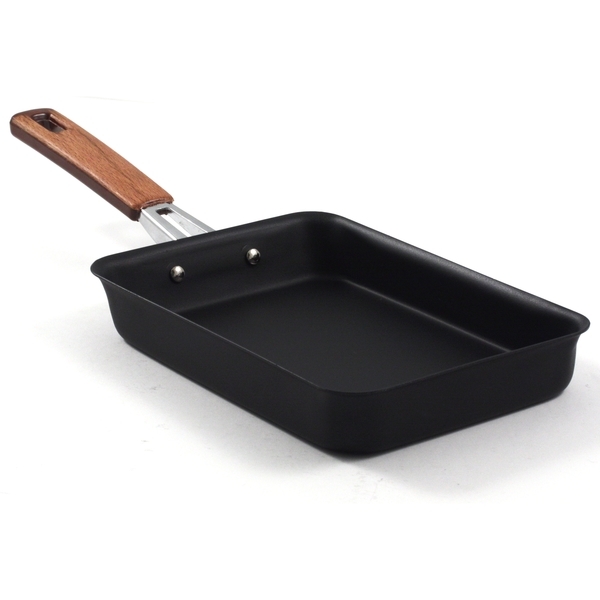 With this pan, making takoyaki is easy and so much fun! Take a look at our great Takoyaki recipe for further inspiration. Next to the fancy rice cooker and specialist takoyaki pan, this little gadget might seem a bit lacklustre, but let us assure you it is not. Gyoza, for those who have not tried one, are a type of wanton-like dumpling typically boiled then lightly pan fried and served as a side dish in bars and ramen shops. To make them requires filling a thin gyoza wrap with a savoury mince of some description, then folding the wrap over and carefully crimping the edges closed, ensuring that the filling is sealed shut inside the wrap. Crimping the edges perfectly takes time, effort, and more often than not a lot of wasted gyoza, so it is no wonder that the gyoza press is used so often. 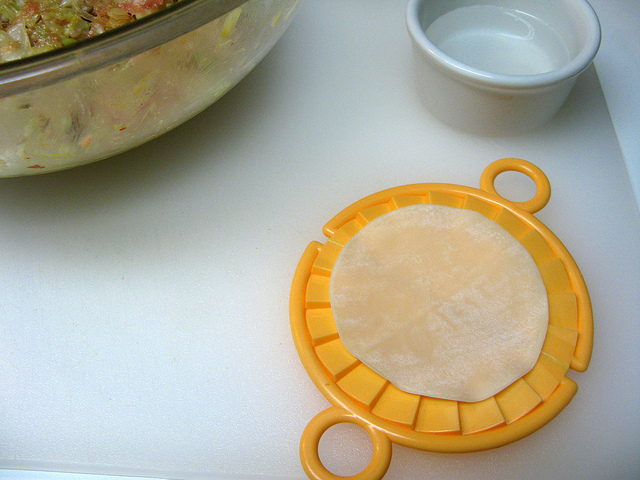 All one needs to do with a gyoza press is line up the gyoza wrap inside, place the filling in the middle, wet the outer edges of the wrap and close the press shut. This makes gyoza preparation a much less time-consuming exercise, and your gyoza will always be perfect. Literally meaning “cooked egg”, tamagoyaki is a dish made by rolling thin layers of omelette around each other in a pan. To make it requires a rectangular pan, because the omelette needs to have uniform, straight edges as it is moved from side to side while it cooks. While it might seem excessive to have a whole pan for one dish, tamagoyaki is used in a number of other dishes, such as sushi or bento, and it is so easy to prepare that often it is made for a quick meal when there is no other food in the house. It is also a handy vegetarian alternative to meat or fish slices. And there you have it! For more essential Japanese cooking equipment, or more ideas on how to use the equipment featured here, visit Japan Centre. Let us know below, or on Facebook or Twitter, about your favourite tools and gadgets for Japanese cooking. Posted in Food and tagged cooking. Bookmark the permalink.